Many musicians have voiced their support for Kesha on social media this week. Now the singer is also receiving public invitations to collaborate on new tunes. Jack Antonoff wrote, "Hey @kesharose—don't know what the legal specifics are, but if you want to make something together & then leak it for everyone I'm around." "Or just make something and wait on it till that creep can't block you anymore," he continued. "Standing offer." In the past, Antonoff has co-written songs with Taylor Swift, Sara Bareilles, and Troye Sivan. Antonoff's publishing company, Rough Customer, is a joint endeavor with Sony, which is also Kesha's parent label. 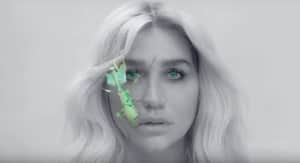 According to Dr. Luke's lawyers, Kesha is free to make music for the label without the producer's involvement. Antonoff was not alone: the electronic artist Zedd also reached out to Kesha via Twitter. "Very very sorry to hear about the whole situation," he noted. "I'll be happy to produce a song for you if you want my help." Previous Zedd tracks have featured vocals from the likes of Selena Gomez and Paramore's Hayley Williams.